Richview Family Dentistry welcomes Dr. Nina Sherrill as a Full Partner. 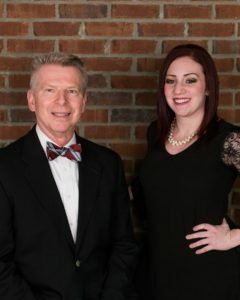 Dr. Wall is pleased to welcome Dr. Sherrill as a full partner at Richview Family Dentistry! Patients, staff, and friends have long known Dr. Nina Sherrill as a vital and innovative part of Richview Family Dentistry, and now we are proud to announce that she has become a partner in our dental practice. She officially became a partner in January of 2017 and is pleased to take on all of the exciting responsibilities involved in her new position with our practice. Dr. Sherrill is a Clarksville native who graduated with high honors from Austin Peay State University where she earned her Bachelor of Science degree. She then went on to attend the University of Tennessee College of Dentistry where she was an active participant in the student research program. She is a member of the American Dental Association and the Eighth District Dental Society. Dr. Sherrill is dedicated to providing optimal patient care with a gentle touch. In her spare time, Dr. Sherrill can be found chasing her son, Maxwell, and their two boxer pups. Dr. Sherrill also has her level 1 CrossFit certificate and is a CrossFit enthusiast. Her other hobbies include baking, playing the piano and interior design. 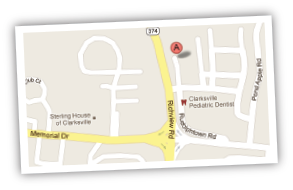 Richview Family Dentistry is located in Clarksville, TN on the corner of Memorial Drive Extension and Warfield Blvd. 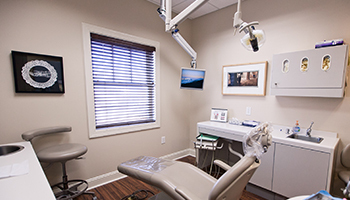 Our office is a state-of-the-art facility where we perform implants and restorations in addition to routine cleanings and exams. It’s also a warm, welcoming environment where you’ll actually enjoy a visit to the dentist. Discover more about Dr. Sherrill, find out how to get here, and learn about the art on display at our office. Give us a call at (931) 647-2243 to schedule your consultation.